Please go through most frequent asked questions about MacLock. How secure is my Info? My password? Don’t worry - We encrypt your password info, and then store it locally into super-safe Apple’s Keychain secure store (Local on the Mac System itself). And relax - your password is never transmitted outside the Mac and is stored locally. There is no danger in this. Your passwords never leave local system, are encrypted and are not visible to anyone. We are security experts with 1000s of man-years of security experience in Financial solutions and Cyber Security and have taken extreme care to ensure best-of-breed security. Moving away from computer or moving FAR doesn’t lock automatically? Distance/proximity isn’t working automatically? Automatic locking/unlocking isn’t working? Please check if Manual locking/unlocking is working on button tap ( ) or not? If manual locking/unlocking is not working, please read the Accessibility FAQ. 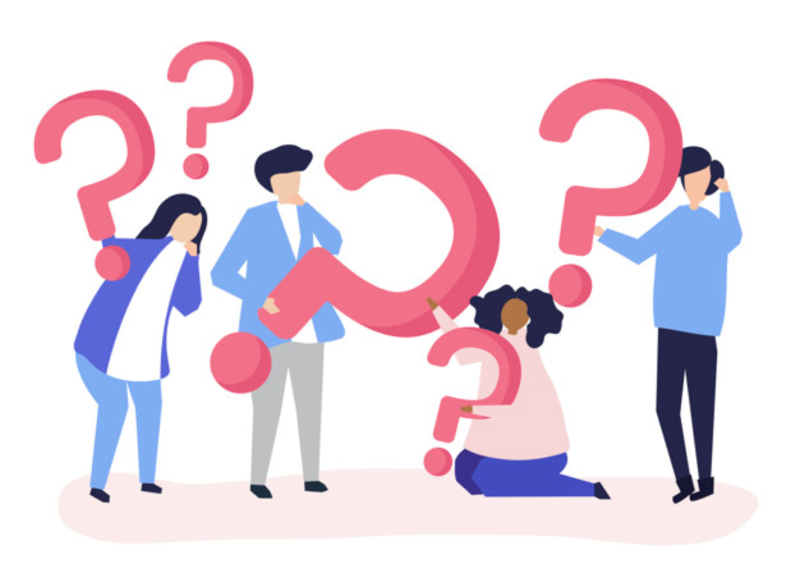 If accessibility troubleshooting doesn't help - check the next steps. If manual locking/unlocking is working but proximity ( i.e. moving away/closer ) is not working, please check the bluetooth icon ( ) is connected or not? If it's not connected ( ), which means that Bluetooth is not connected, try restarting the Applications on both sides (Mac and Phone). Sometimes, it works to simply turn bluetooth OFF and then ON on both sides (Mac and phone). Maybe in the worst case, restart your Mac and SecureID phone application. How to setup/change your Local Mac password? Once you install mac companion app, you would see the above screen “Type your password”, then please set the password for logging-in into your Mac computer. Don’t worry, we encrypt your password information, and then store it locally into super-safe Apple’s Keychain secure store (local on the Mac system itself). And relax your password is never transmitted outside of Mac and is stored locally. There is no danger in this. 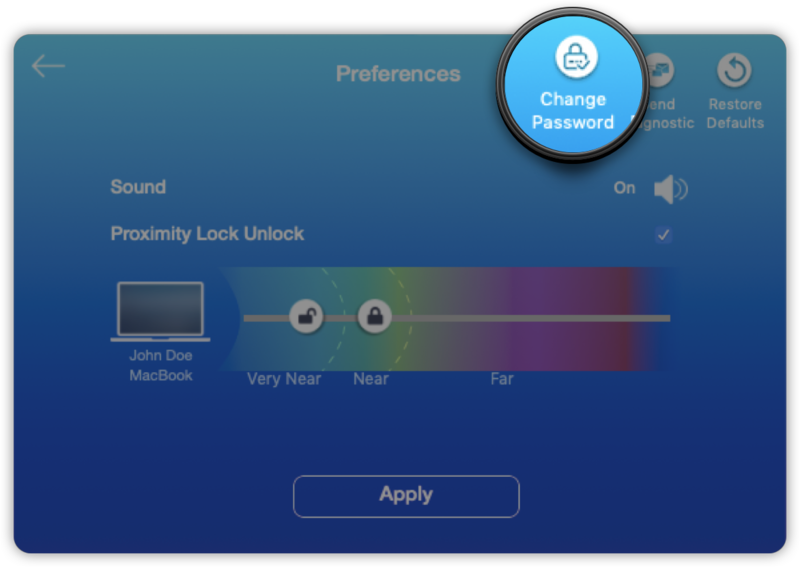 If you have changed local mac password, you need to update it in the Secure ID mac companion app. 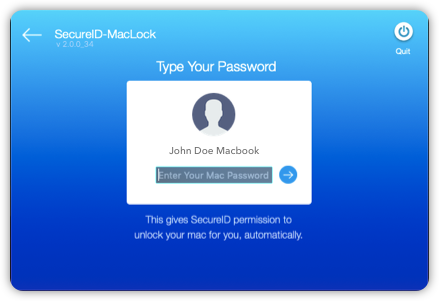 Open SecureID Mac companion app, go to change password screen ( settings -> change password ), type your new local password and save. Can I set the Lock/Unlock distance myself? Yes. As factory settings, your Mac computer lock itself when Phone moves away roughly 4 meters. And it unlocks when you come back near enough. Basically as you sit down to work on your Mac, it unlocks, and as you leave to go away, it locks. You can hear a sound of lock. Please check preferences - You can change the default values to what works best for you. 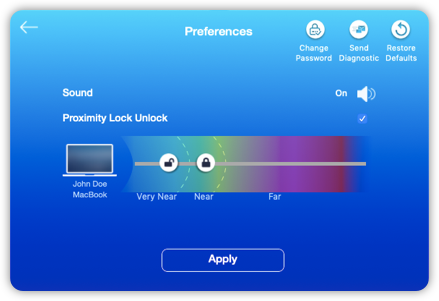 Go to settings, check “Proximity Lock Unlock”. 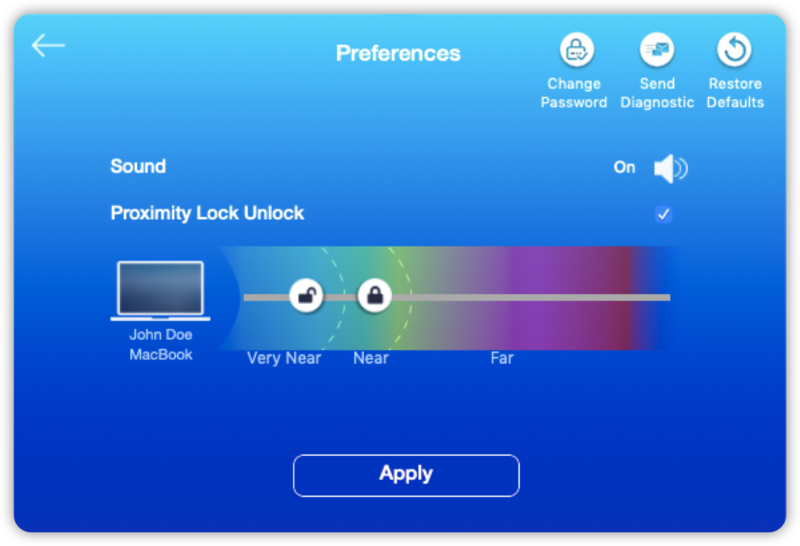 Set your Lock & Unlock distance, which you think is best for you to Lock the Mac, and press the "Apply" Button. Do it at a few spots in your surroundings and you are all set. What about drain for my phone battery? What about Mac’s battery drain? 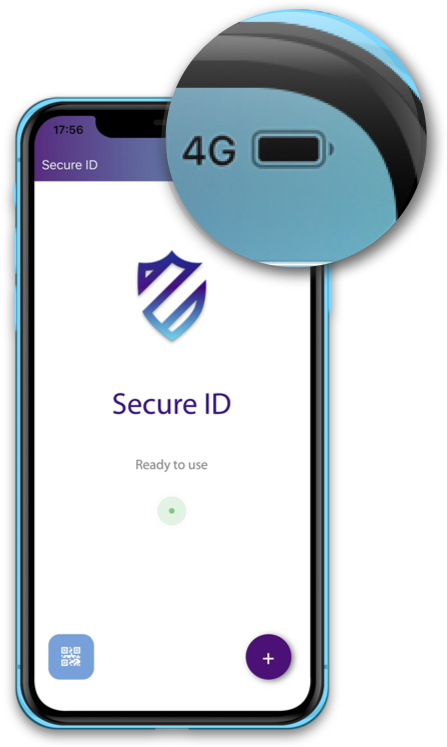 BLE or Bluetooth Low energy is the underlying technology which is used to Lock Unlock your system. Can be used all day long without any drain. How secure is SecureID-MacLock ? Can someone unlock with their phone? No, it's not possible for somebody else to unlock with their phone. 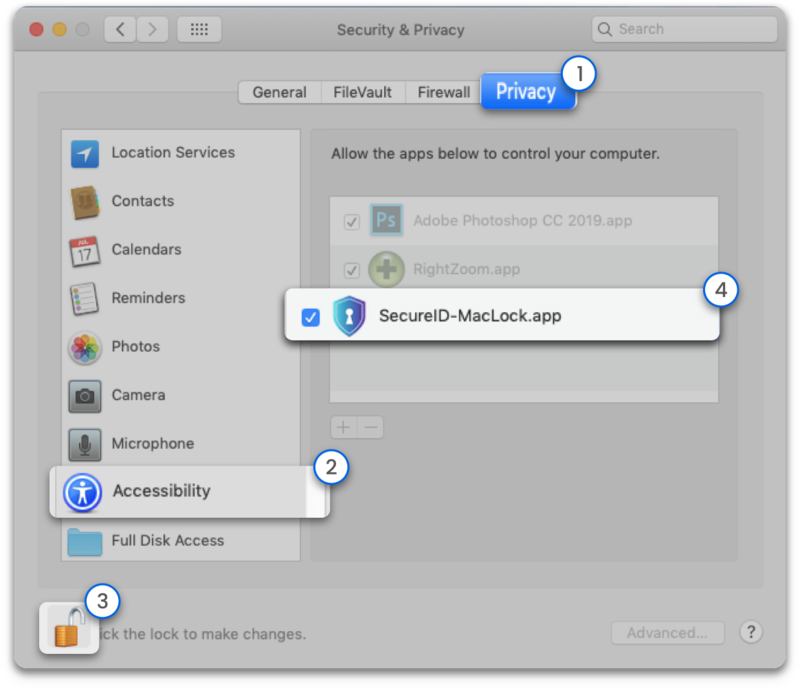 There is a unique and secure paring of the mac with your phone. So, only the paired phone can unlock/lock your Mac. Not anybody else. We are security experts with 1000s of man-years of security experience in Financial solutions and Cyber Security and have taken extreme care to ensure best-of-breed security. My computer locks, but doesn’t unlock? Even if try clicking the Lock/Unlock button on my Phone - what’s happening? (Please search for Security & Privacy first, not directly Accessibility. That will land at Accessibility Keyboard et al). You might need your Mac password login to allow changing these settings. Accessibility message ! - I see this message? What’s wrong? Do I need to do something more?